Many travelers believe that getting "bumped" off a flight is a straightforward situation. When flights are canceled or overbooked, travelers simply make alternate plans with the help of their airline. Often enough, airlines will even offer volunteers travel credits in exchange for agreeing to take a later flight. However, many travelers don’t know the difference between being voluntarily and involuntarily bumped from a flight. The difference between a voluntary and involuntary boarding denial is more than the level of inconvenience. Travelers who voluntarily let their seat go could be out hundreds of dollars and give up rights to future compensation. Before accepting the travel voucher to take a later flight, every traveler needs to know the difference between voluntary and involuntary boarding denial. Involuntary boarding denials happen when there are too many people holding confirmed tickets for the same flight. This can happen for a number of reasons, including overbooking and flight cancellations due to weather or other situations. Regardless of the situation, an involuntary boarding denial happens to travelers who have a confirmed ticket on a flight but cannot be accommodated on the flight. When an involuntary bump happens, United States law guarantees certain compensation to affected travelers. First, the airline has to offer the affected traveler alternate accommodation for travel to their final destination within one hour of the original landing time. If a passenger can not be accommodated by the airline (or by other airlines flying to the passenger’s final destination), that traveler is entitled to compensation. If an airline cannot deliver a passenger up to two hours past their scheduled arrival time, then the bumped traveler is entitled to 200 percent of the published fare for the first segment of the itinerary, up to $650. If it takes more than two hours to get the bumped passenger to their final destination, then the traveler is entitled up to 400 percent of the published fare for the first segment of the itinerary, with a maximum of $1,300. It is important to note in this situation that travelers must be bumped by their airline to receive these carrier benefits. If a passenger is denied boarding for other reasons (including security concerns or by order of the pilot), then the passenger may not be entitled to compensation. Additionally, volunteers who agree to lose their seat on their flight may surrender their rights in exchange for other compensation. In order to avoid paying cash to passengers involuntarily denied boarding, many airlines will do everything within their power to solicit volunteers to surrender their seats on an overbooked flight. 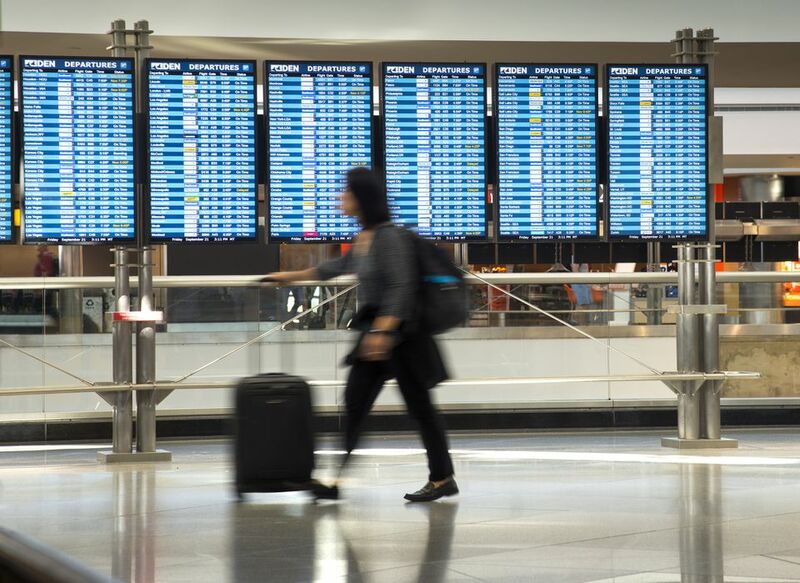 Gate agents can offer passengers a number of benefits, including airline travel credits and hotel rooms in order to avoid involuntary boarding denials. When a passenger chooses not to fly in exchange for some form of compensation chosen by their airline, this is known as a voluntary boarding denial. As a result, the terms and conditions of the voluntary surrender often stipulate that travelers give up many (or all) of their rights under the law, including holding the airline responsible for further cancellations or compensation. Once again, the cancellations are extended to travelers who hold a confirmed ticket on the affected flight. In addition, an airline and gate agents may set specific rules as to who can and who cannot volunteer to be bumped from a flight. In addition to the laws that govern domestic flights within the United States and airlines conditions of carriage, international laws govern the situations by which travelers must be offered compensation for boarding denials. The levels of compensation are based on where travelers are flying from and their final destination. For flights that originate from or end in the European Union, the European Commission set clear conditions for when passengers must be given compensation. If travelers are either involuntarily denied boarding, have their flight canceled or are otherwise delayed, they could be entitled to a cash payment from their airline. For a small fee, travelers can utilize a service like refund.me to help obtain a refund due to boarding denials or canceled flights. Flights to non-European destinations around the world are governed by a number of international conventions and agreements between nations. International flights are often governed by the mutual laws of the departure and arrival nation. Travelers who may be involuntarily denied boarding should ask to be informed of their rights before making any decisions. By understanding the difference between voluntary and involuntary boarding, travelers can make better decisions about their travel plans. Regardless of what a traveler chooses, understanding the rights protected by law can result in better compensation based on a personal situation.